A Shrewsbury student who worked as an administration assistant at a Shropshire law firm during his university holidays has just been rewarded with a training contract. Nathan Hinks (23) spent his breaks at Wace Morgan Solicitors in Shrewsbury, where he is now climbing the career ladder. A former Shrewsbury Sixth Form College student, he secured a place at Cardiff University to study law, graduating with a 2:1 degree. He then went on to take a LPC MSc in law, business and management at the University of Law in Birmingham where he achieved a distinction. “When I was back from university I worked as an admin assistant at Wace Morgan, helping out last year when the firm moved from three offices in Shrewsbury to one larger premises in St Mary’s Street, which was a major logistical operation,” said Nathan, who also worked there part time when studying for his masters degree as a paralegal specialising in employment law. 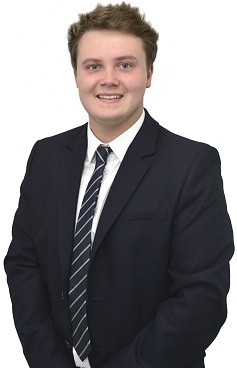 He has now been appointed as a trainee solicitor and is currently placed in the employment department working with Partner, Keir Hirst. 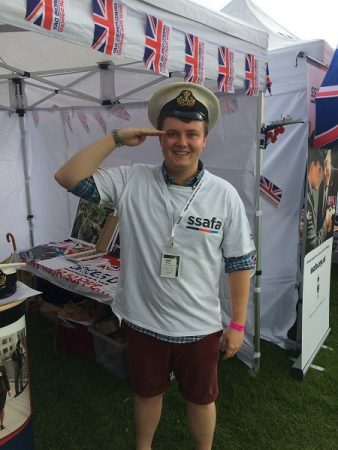 Nathan volunteers as a fundraiser for the Shropshire branch of armed forces charity SSAFA and recently helped man the stand at the Shrewsbury Food Festival.